Posted on April 17, 2015 by Mandy	in Comic Books, Find of the Week and tagged 1970's, Arch Nemesis, Art, Bad Guy, Comic Book Character Poster, Comic Books, Comics, DC Comics, Find, FyndIt, POP Art, Poster, Villain, Villains. Family game night never looked so evil! This fantastic piece of collectible poster art depicting DC Comic’s greatest villains schmoozing and planning unlawful shenanigans is in pristine condition. A perfect gift for the home or office wall of the comic book nerd in your life. This rare 1978 DC Comics Villain Pin-Up Poster is a great Find for forty bucks! Locate this collector’s piece and other comic book memorabilia at FyndIt. Posted on April 7, 2015 by Mandy	in Want of the Week and tagged 1966, 1967, 1968, 1969, 1970, C10, Car Parts, Chevrolet, Classic Truck, GMC, GMC Truck, Junkyard, Short Bed, Short Bed Truck, Truck, Two-Wheel Drive, Vehicle. FyndIt member Glen is on the hunt for a sweet ride! 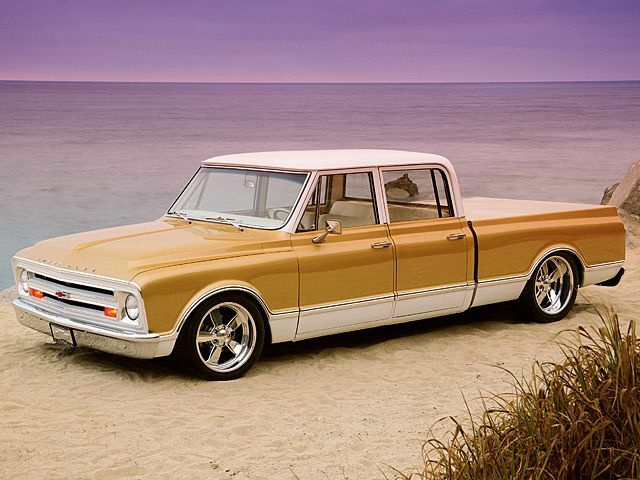 This week’s Want of the Week is for a 1967-70 GMC C10 Pickup Truck. Help him expand his coast to coast search for a classic two-wheel drive short bed truck. Perhaps your buddy has a cherried-out one for sale or Grandpa needs help getting his old rust bucket off the farm. Regardless if it is non-op, street ready, stock or modified, Glen wants to see what you’ve got and is willing to offer a monetary reward to the person who can help him locate exactly the type of truck he is looking for. You can earn money at FyndIt helping others search for classic vehicles and old car parts. A person will post something they are searching for as a Want to our site and offer a bounty reward to the person who can help them find it. Our community of Finders from all over the US, then go out and search their local shops and junkyards for the exact part or vehicle and post it to our site as a Find. The person wanting the item will then review the Finds and select the best option. When a match is made, the location of the part or car will be revealed to the Wanter and the bounty reward will transfer to the Finders account. The Finder then easily cashes out the bounty reward to their PayPal account. The Wanter gets their item, the Finder makes money and everyone is happy! Try your hand at searching the Wants on FyndIt and see if you can earn a little extra spending money as a community Finder. It’s free and easy to sign up!